The fact that it is based on Alfred Hitchcock’s Psycho is why it keeps the fans glued to the show. It was Friday night and I was really hoping to watch something different from the usual stuff that is shown on TV. 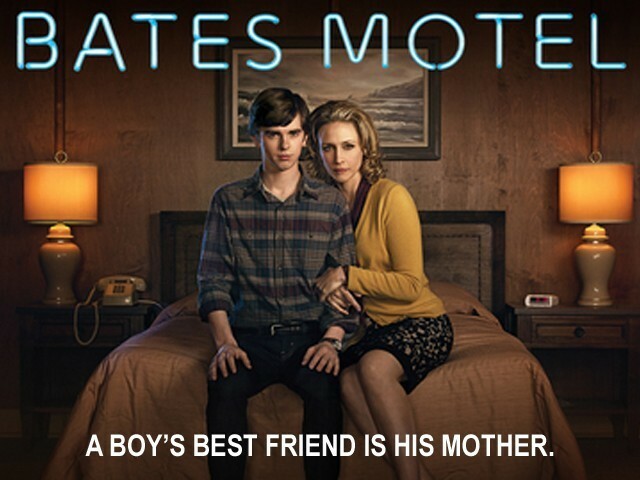 It is then that I came across a series that seemed quite catchy solely by its title – Bates Motel. With modern alterations, it is based on the Alfred Hitchcock’s 1960 film ‘Psycho’, starring Anthony Perkins as Norman Bates. I must say that the movie was a twisted thriller that was cleverly plotted out. I recently purchased season one of the series and frankly speaking, it is pretty darn good! The series stars Vera Farmiga (Norma Bates), a great, talented and fresh-face actress, and Freddie Highmore (Norman Bates), who in my opinion, has a bright future in the film and television industry. He is perfect for the role of Norman Bates in the series. His facial features resemble Perkins so much that it takes you back to the original character. And let’s not forget his underrated acting skills. I have seen three episodes of the series so far and I’m hooked! I must say, the show has become one of my latest obsessions and I would recommend it everyone out there. It is unpredictable, has shocking twists and turns and is what people look for in television shows these days. Unlike the movie, where Norman’s mother had an absent presence, she is very much present in the series with her complex and intimidating personality. Farmiga is perfect for the role of Norma Bates and gives a performance that seems well studied and winningly ‘real’. The show focuses on the mother-son relationship and how Norman turned out to be the psycho he is known as today. So, why should you be watching the series when we all already know how it ends in the movie? The creators, Carlton Cuse (Lost) and Kerry Ehrin (Friday Night Lights) emphasise on the fact that it’s not homage to Psycho. They don’t want the viewers getting hung up about knowing how it all ends nor should they rely on what they know from the movie to inform them how they look at these characters. With its twisted yet unexpected storylines, it keeps you hooked until the very end of every episode. One cannot trust any character in the series as everyone puts on a good face and that can easily deceive people. Nowadays, there are many series that are following the neo-noir format such as Pretty Little Liars and Devious Maids. In addition, the location of the show was primarily why I could not keep my eyes off the screen. Locations matter, at least they do to me. There is nothing better than a good show that has all these different locations. Not only is this a great way to build suspense, it keeps the viewers expecting more from every episode. The fact that it is based on Hitchcock’s movie keeps the fans glued to the show. The movie is a classic and I must commend the creators’ efforts for creating such a masterminded TV series which is a prequel to the original movie; every fan feels obliged to predict what will happen and the surprises keep them hooked. The anticipation is thrilling. The show cannot and probably should not be categorised as a thriller; it also entails elements of mystery, drama, horror and lots of suspense. It doesn’t only focus on the lives of Norman and Norma Bates but delivers something new to the audience every week, and that is one of the main reasons it is doing so well on television. I personally believe that Bates Motel is this generation’s Psycho and it deserves all the praise it’s worthy of. I cannot wait to see the rest of the seasons and trust me – it is not easy to make your audience feel like that. For those of you who have not seen this twisted thriller yet, I would strongly recommend you download it today.